Leonardo J. Caraballo - Rennert Vogel Mandler & Rodriguez, P.A. Leonardo J. Caraballo concentrates his practice in all areas of real estate law, representing various developers, domestic and foreign investors and lenders in all aspects of residential and commercial developments throughout Florida. 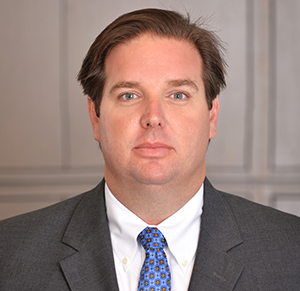 He has considerable experience conceptualizing and drafting governing documents for condominiums and planned unit developments, as well as regulatory filings for the sale and marketing of projects. In addition, Mr. Caraballo has significant experience negotiating development agreements, joint venture agreements, loan documents and reciprocal easement agreements, and in complex title insurance and survey matters. Representation of developers in connection with the acquisition, sales, construction and disposition of residential, commercial and mixed-use condominium developments, as well as residential and mixed-use planned unit developments. Representation of individual and institutional investors in connection with the acquisition, financing and disposition of commercial real estate, including shopping centers, multifamily housing and office buildings. Representation of developers in connection with the creation, registration and turnover of residential, commercial and mixed-use condominiums and planned unit developments, as well as resort and hotel condominiums. Representation of lenders and investors in connection with bulk acquisition and sales of fractured condominium projects and failed planned-unit developments, including matters related to successor/subsequent developer liability, operational issues and turnover of associations, and the sale of condominium units by subsequent developers, bulk buyers and bulk assignees. Representation of individual and institutional investors in connection with the acquisition from lenders and resolution of nonperforming loans secured by commercial properties, and the foreclosure of mortgages resulting in ownership of the collateral. Representation of owners and operators of senior housing facilities in connection with sale of assisted living and Alzheimer’s living facilities.